Gold Coast Number one Hummer hires. We also have a party boat on the gold coast for all your special occasions, We also cater for school formals and kids birthday parties with the best party limo hire Gold Coast. For your Bucks party or hens party or maybe just a birthday party gold coast party cruise is the way to go, we are also specialists in 30th birthday Gold Coast. 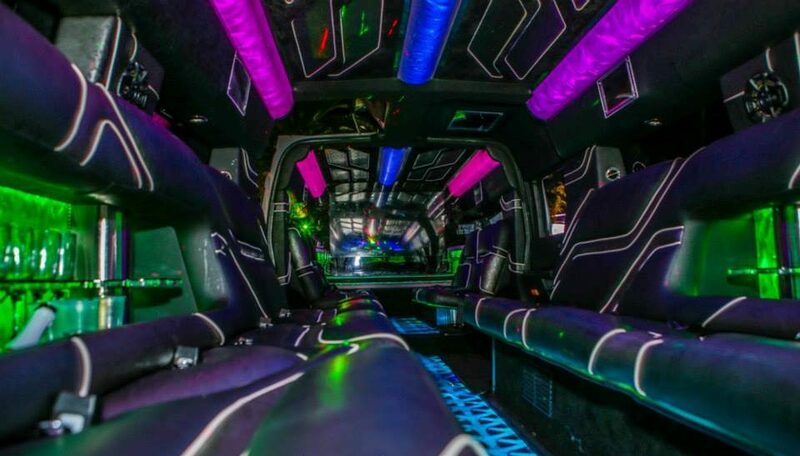 All our Hummer and limousines have smoke machines, laser lights, and the latest sound systems to plug and play your music from your phone. We also have the best nightclub tours with access to all clubs, Sin City, Bedroom Nightclub, Melbas Nightclub, Shooters Nightclub, Love Nightclub and many more. Gold Coast party hires for hummer hire and nightclub tours. Gold Coast boat party cruise and nightclub tours are the best way to start off you experience on the Gold Coast whether it’s a hens party, bucks party or just a special occasion we will have the package to suit Xmas parties and events. Come get hammered with us! we have over 9 years’ experience organizing the best packages for you and all you guests from 3 hour packages including Stretch Hummer or Stretch Limousines from accommodation, drinks, food platters a fully qualified skipper to take care of all your needs. Hummer hire Gold Coast Catamaran and Hen Package has a VIP stretched hummer pick up from your accommodation with strawberries and refreshment for your half hour cruise down to the marina. When we arrive at your boat you will have refreshments on arrival and meet your party hosts and set sail along the gold coasts beautiful waterways making your way along the magical Stradbroke Island, On occasion we will be followed by a group of friendly dolphins and no day is complete without some nice food, we have cheese platters, the freshest fruit platters and the best BBQ on the gold coast to choose from. 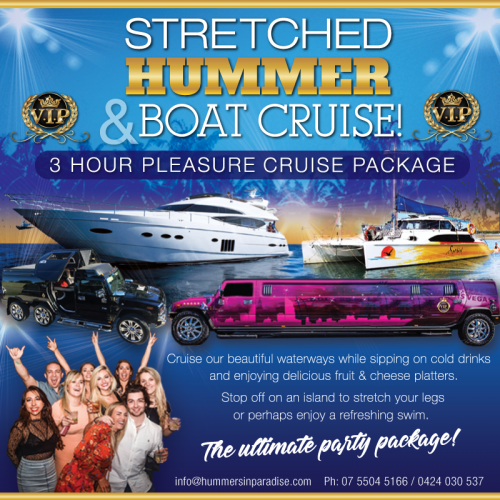 After your 2:00 hour cruise your party will arrive back at the marina for another half hour cruise to Ultra Lounge bar or back to your accommodation Party cruise gold coast Includes Stretched Hummer hire (1 hour total in Hummer) Catamaran Boat Island cruise (2 hours), Water provided and all host have a current RSA qualification. All guest must be 18+ for the Nightclub Experience (photo disk available on request). Persons must be over the age of 18 to consume alcohol and may be asked to produce identification. Minimum guest numbers apply. 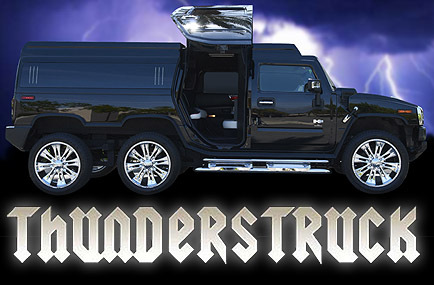 Are you looking for an extremely magnificent hummer hire? Don’t worry; we are a one stop solution for party limo hire in Gold Coast. At Hummers in Paradise, we welcome you to have the most exotic hummer experience. 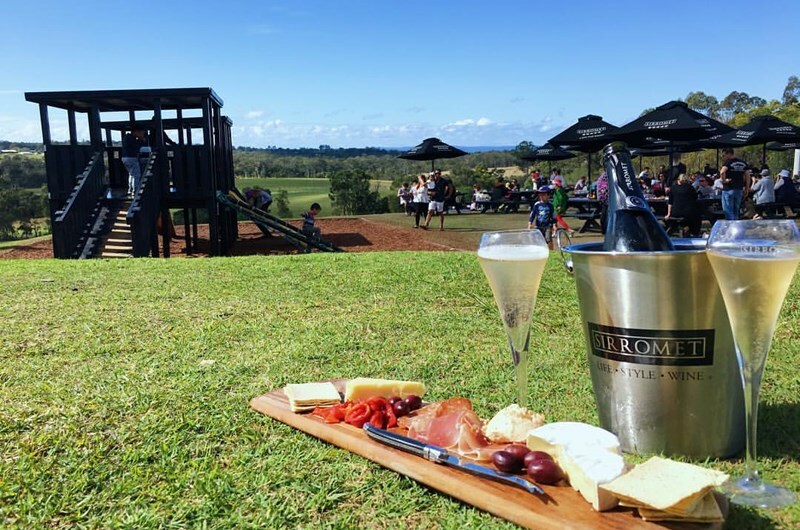 From a sophisticated corporate event, school formal or children’s parties to the bucks and hens night party, we provide the head turning touch to arrive in glamour and class. 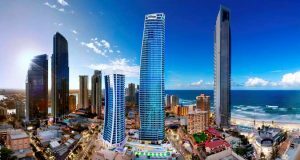 The professional experience of a decade with the precision to personalised services is what makes us a reputed name in the Gold Coast. For many years, we are achieving the highest service standards of confidentiality, efficiency, security and quality. We assure no hustle and no stress on your big galas. Our experienced team will take care of everything to ensure that your final fling is full of bling! We have a fleet of vehicles from heart throbbing Gold Coast Hummer hire – Vegas style pink, the new Hyper stretched SUV 10.5 meters long to fantastic stretch Chrysler 300c Limousine. Each vehicle has the most jaws dropping features to add stars to your persona. In the fleet of cars, each carriage is installed with dazzling wow features including operational bars, smoke and haze machine, state of the art sound systems, spacious seating capacity, LED and laser lights, huge boot rooms, 42″ screen + 2 X 10″, Sunken leather lounges, wedding door on the side and much more. We also offer party boat and cruise to manage all of your extraordinary occasions. Highly skilled, trained and licensed chauffeurs are also an addition to our service. 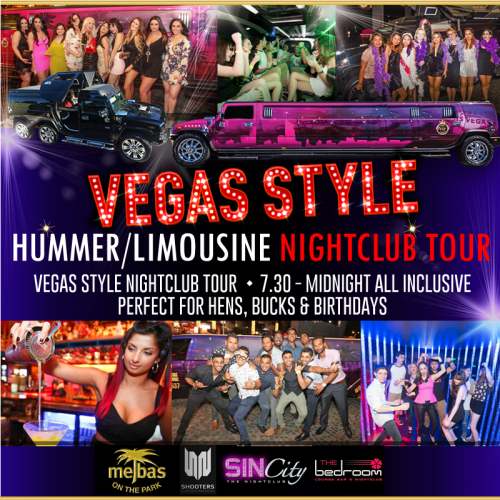 At Hummers In Paradise, you will have the alluringly mesmerizing night life experience. We have the best nightclub tours with admittance to all mind-blowing clubs in the Gold Coast, mainly Sin City, Bedroom Nightclub, Melbas Nightclub, Shooters Nightclub, etc. 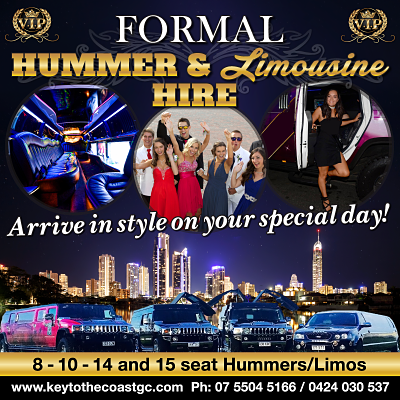 A sizzling idea of hummer hire and party limo hire in Gold Coast amalgamated with the best possible packages. These are carved out for you by our experts. Besides the core features of our packages, a carriage of your preference with refreshments on top is an amazing treat. We have a liaison with some of the top hotels, restaurants, celebratory cruise and highly ranked nightclub’s pub crawl in Gold Coast. This outsourcing allows us to hunt out the best deals for you. When it comes to economical packages, the most diversified services hotchpotch is truly indulging. Having extensive experience, we are proud to provide spell bounding services to our clients. 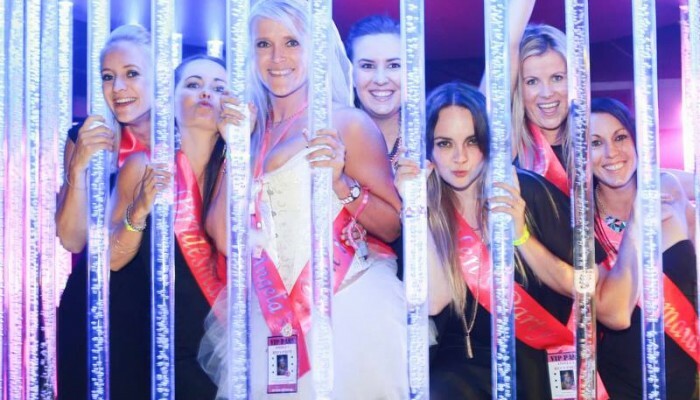 Moreover, we are specialist in hens and bucks parties, 30th birthday Gold Coast party and nightclub tours. Being an outstanding Gold Coast limo hire, we ensure you the world class experience with the best possible affordable packages. Secure your booking with us now. Please visit our site for feasibility plan and packages or give us a call for expert reservation and arrangements.